Today was the first 80 degree day in Chicago! It’s summer! I went to Mario’s Lemonade earlier this afternoon (they opened this week!!! They’re a possibly-famous seasonal Italian ice stand-see Food Network) and got a cantaloupe lemonade. 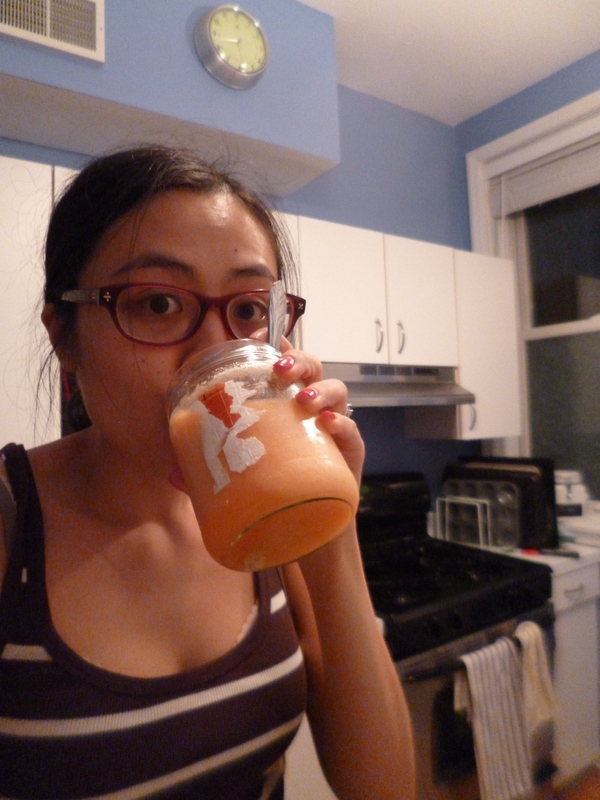 It had chunks of cantaloupe in it! So delicious! So delicious, in fact, that when I got home half an hour ago I decided I wanted something similar. LUCKILY, I had half a cantaloupe in my fridge- we ate the other half yesterday wrapped in proscuitto. 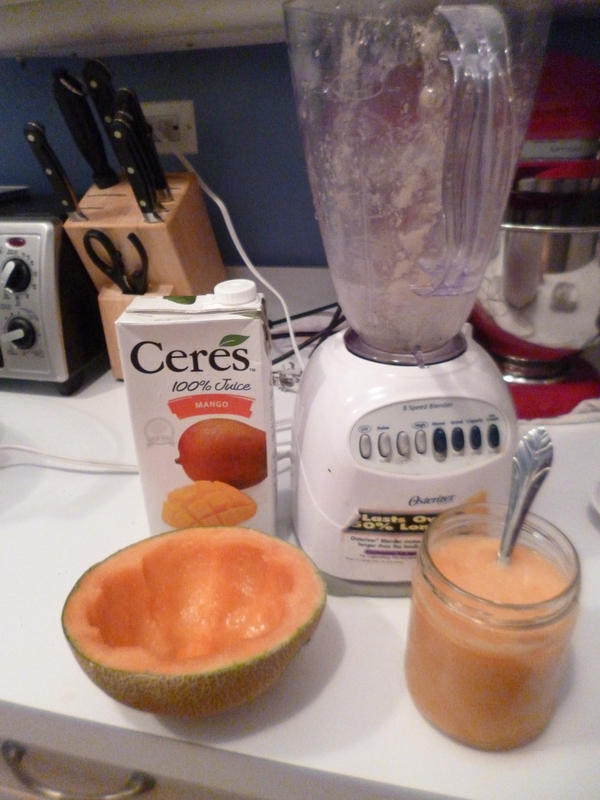 Anyways, I put half a cantaloupe, a tray of ice cubes, half a teaspoon of sugar, and some mango juice in a blender. This is SO GOOD. Anyways, this was a bit of an impulse blog post, but I liked this so much that I wanted to tell you about it immediately! Also I wore shorts today. It snowed here three weeks ago. Real blog post coming soon.